Schneider Autohaus is your friendly dealership alternative for all Audi vehicles. About 10 years ago, we added the Audi line to our repertoire, as we wanted to provide our customary level of quality service and care to this amazing brand of automobile. 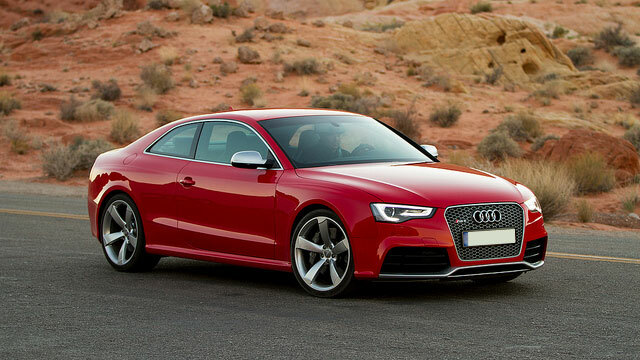 Audi offers an array of high-tech gasoline and diesel engines to complement its legendary Quattro all-wheel drive system, and as with other highly-tuned German machines, regular and preventative maintenance is key to keeping your Audi in prime condition. Computer diagnostics with factory-level scan equipment by trained technicians. Check engine” light diagnosis and repair. Annual maintenance/oil service with quality, Audi-approved engine oil (this is VERY important!). Major maintenance, spark plug replacement. Timing belt replacement (most Audis should have the timing belt replaced at 75,000 mile intervals). Gasoline fuel injection system maintenance and repair. TDI diesel maintenance and repair. Intake valve cleaning service for gasoline direct fuel injection (DFI) models. Cylinder head service, complete engine overhaul. Cooling system maintenance and repair. Full driveline service including DSG and Tiptronic transmissions, CV boots and axle service. Brakes, suspension repair, 4-wheel alignments to factory specifications. Air conditioning/heating system service and repair. Body/electrical system diagnosis and repair, including airbag and restraint systems. Pre-purchase inspection services for buyers and sellers.